Has Been Contributing Vital Programs and Services to the Annandale Community for 38 Years. What’s Happening at the J? Have you passed by Little River Turnpike at Guinea Road lately? 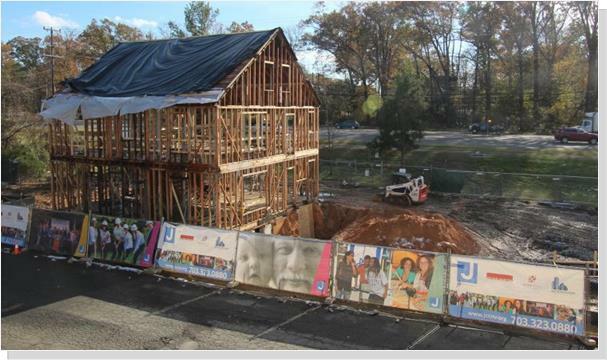 If yes, perhaps you’ve seen the skeletal structure of the soon-to-be Smith-Kogod Cultural Arts Center at the Jewish Community Center of Northern Virginia (JCCNV, the J). The renovation of what was the original JCCNV building is just a small indication of the construction taking place to better serve the community. Every day, the J welcomes people of all ages and backgrounds to its Fairfax campus (8900 Little River Turnpike) and its satellite locations throughout Northern Virginia. Helping people feel their very best, the J offers group classes for people at all fitness levels throughout the week and has personal trainers on staff for those who prefer one-on-one workouts. Exercise classes offered include yoga, Pilates, cardio cycling, SUP Yoga (stand-up paddle board), FUNctional fitness, and more. In addition to its “land” classes, the J’s Aquatics Center offers year-round water aerobics and competitive swimming programs for all ages and abilities. Our heated, six-lane, 25-meter swimming pool has a graduated depth from 3.5’ to 8’ and includes a permanent access ramp for use by individuals in wheelchairs, small children, and others with special needs. Recent improvements include anti-slip flooring and a new heating, ventilation, and air conditioning system that greatly improved air quality on the pool deck. Additionally, the recently renovated men’s and women’s locker rooms now include wet and dry areas, private showers, saunas. Watch in 2019 for a brand new 3,800+ square foot fitness center to open on the west end of the building. The new space will be more than twice the size of the current fitness room and will feature brand-new performance equipment and state-of-the-art technology. High ceilings and natural light will provide an open and welcoming workout environment and increased fitness staffing and innovative wellness programming will help motivate members to achieve their goals. From its Early Childhood Learning Center (ECLC) to the Adult Learning Institute (ALI), the J offers educational opportunities for all ages. Looking for a preschool for your 6 weeks-old to 4-year-old child(ren)? 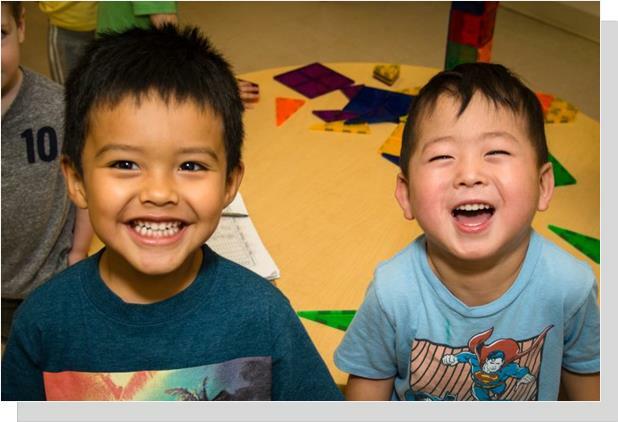 The ECLC, whose curriculum is based on the Reggio Emilia philosophy of learning combined with Jewish values, offers a full-time program from 9am-1pm and enrichment classes such as dance, swim lessons, cooking classes, and more in the afternoons. The preschool runs year-round from 7:30am-6pm, Monday through Friday. School-age children enjoy before- and after-school programming with enrichment offerings such as swim lessons, homework help, creative play, organized sports in our full-sized gymnasium, and outside on the playground or field. Free swim is offered twice a week! Summer camp creates memories to last a lifetime as campers build friendships and enjoy indoor and outdoor activities and unique field trips. The Adult Learning Institute (ALI) serves adults 55+ with a variety of onsite classes and organized field trips to meet every interest. Classes meet during the week and provide intellectually stimulating, enjoyable, and engaging opportunities to expand your mind and your knowledge with other adults of all backgrounds and ages. In December, the J's Special N eeds Program was named a 2018 Recipient of Fairfax County's Martha Glennan Disability Inclusion and Equality Award — recognizing people, businesses, nonprofits, government agencies, and other organizations that excel in successfully demonstrating integration and equal rights for people with disabilities in the Fairfax area. The J was proud to receive the honor in recognition of our ongoing programs that include social skills classes; social clubs for teens, young adults, and adults; summer camp; sports leagues (basketball and soccer); adaptive sports; cooking classes, and more. Through Cultural Arts programming such as concerts, art gallery exhibits, book and author events, cooking programs, film festivals (2) and individual films, the J offers programming to satisfy the breadth and depth of our community’s desire for the arts. In 2019, the J will expand its offerings by opening the Smith-Kogod Cultural Arts Center which will increase our studio and gathering spaces to spotlight the arts in Northern Virginia. 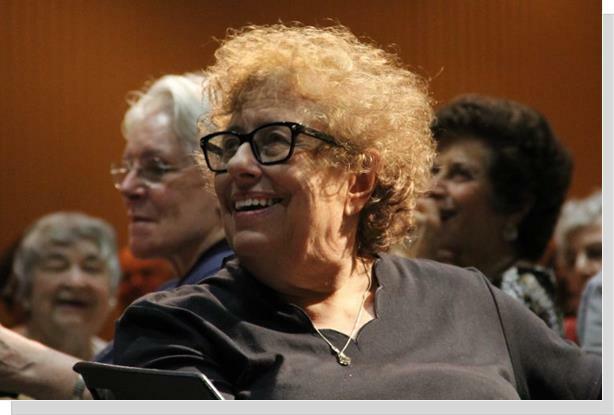 To help non-driving adults (55+) in our community attend programs administered by the JCCNV, J Rides — a volunteer dependent program managed by NV Rides — was developed. If you would like to give the “gift of a lift” to help home-bound seniors get out and connect with others, please call 703.537.3074. Every day, the J welcomes young and old to enjoy its programs, classes, and facilities. Whether you are Jewish, Jew-ish, or just want to be part of a commUNITY that is open to everyone, we’re your J every day! Join us. Acts of vandalism committed in the name of bigotry and ignorance are nothing more than acts of cowardice. Hateful graffiti must be ardently condemned at every occurrence, and the rise of hate crimes, even in small suburban communities, can not be left unchallenged. The Annandale Chamber of Commerce decries this behavior and stands in firm support of the Jewish Community Center. We also thank them for the many vital services and programs they offer for our entire Annandale community and are grateful that they are putting down even firmer roots with their new construction.